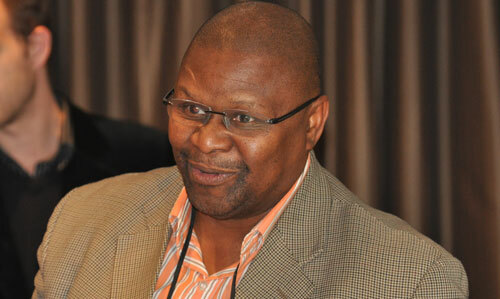 Government is not specifically targeting BlackBerry maker Research in Motion in its proposed attempts to allow law enforcement agencies, through the courts, to intercept the communications of the text messages of suspected criminals, communications deputy minister Obed Bapela says. On Monday, Bapela told delegates at Telkom’s annual Satnac conference in East London that government was considering a change to legislation to allow the SA Police Service to get access, through court orders, to the records of people using the popular BlackBerry Messenger (BBM) service. He said “a lot of criminality” was happening on BBM, an instant messaging platform for BlackBerry smartphones that has caught on like wildfire in SA in recent years. “We might have to follow Britain and Saudi Arabia to say we need to have [access to]a decryption system if crimes are committed [using the BlackBerry service],” he said. In a follow-up interview with TechCentral, Bapela explains that the debate around encrypted cellphone messaging systems was first introduced “a year or two ago” by the minister of state security, Siyabonga Cwele. “People saw devil’s horns all over that, so he retreated,” Bapela says. The plan is now being revisited and driven by the department of communications as part of its plans to introduce new policies to tackle cyber crime, he says.